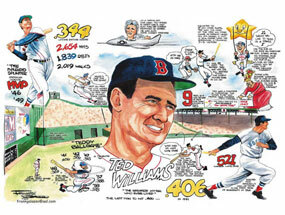 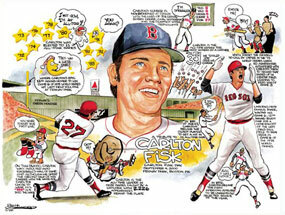 Frankie Galasso has been a sports cartoonist since 1987 and made his start with the Evening Times of Pawtucket. 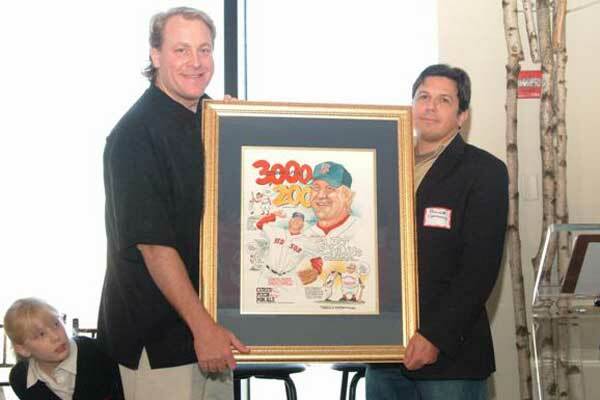 While working two jobs, he self-syndicated his editorial and sports cartoons into 36 newspapers across the country, including The Boston Globe. 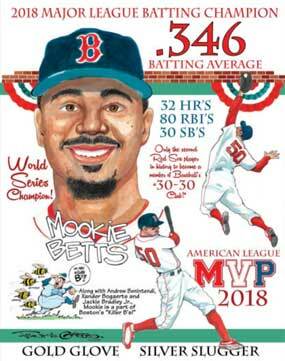 In 1999, Frankie became the regularly featured sports cartoonist for the Providence Journal and also started creating lithograph’s, starting with “Memories of McCoy” for the Pawtucket Red Sox. 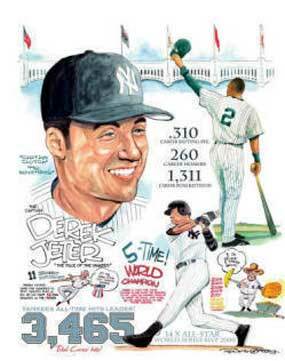 In 2000, he was picked by New York Post Sportsweek as the exclusive sports cartoonist. 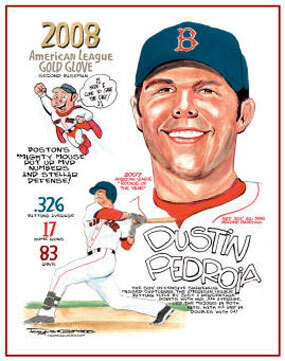 Since then, he has gone on to win several New England Press Awards,and was even inducted to his hometown of Cranston, Rhode Island’s Hall of Fame. 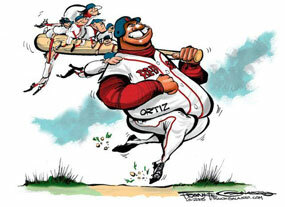 In 2006, Frankie, a musical composer as well, composed and recorded the hit song ‘Come to Papi’ with his band FIVE22 for David Ortiz. 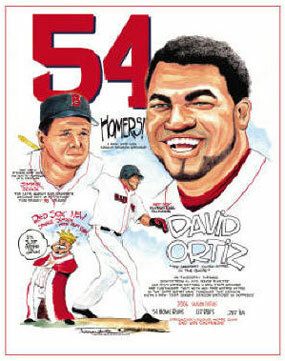 The song was used on David Ortiz Night at Fenway Park. 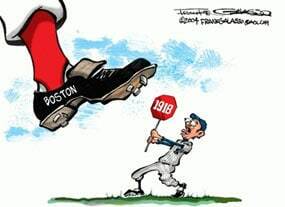 See more at Frank Galasso Sports Cartoons.